Filled with the Holy Spirit following Pentecost, the apostles began to proclaim "the mighty works of God," and Peter declared this outpouring of the Spirit to be the sign of the messianic age. Those who believed in the apostolic preaching and were baptized received the gift of the Holy Spirit. Confirmation completes Baptism and is reminiscent of Pentecost. It deepens our baptismal life that calls us to be missionary witnesses of Christ in our families, neighborhoods and the world-at-large. It also increases the gifts of the Holy Spirit; these being Wisdom, Understanding, Knowledge, Fortitude, Counsel, Piety and the Fear of the Lord. Children who have been baptized may enrol for catechism classes starting from Level 1 and be confirmed when they reach Level 10 of our parish catechetical programme. 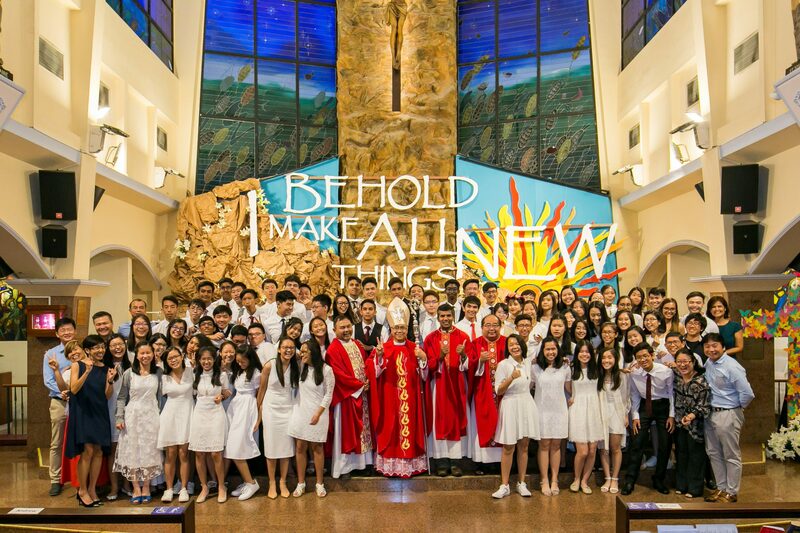 Confirmation will be received by adults in RCIY/A, together with Baptism at Easter. RCIA stands for the Rite of Christian Initiation for Adults. As Jesus said “Come and See” in John 1:39, we warmly invite all inquirers and our separated brethren to come and join us in our journey to explore and deepen our faith. This journey prepares adults to receive the sacraments of Christian initiation (Baptism, Confirmation, Holy Eucharist). To fully understand the level of commitment as a Catholic, the RCIA journey allows one to deepen their knowledge and clarify any doubts they may have before deciding to get baptised. RCIY (Rite of Christian Initiation for Youths) run from June to Easter vigil the following year too, session is every Sunday from 10.15am to 12pm. This is for youths (between the ages of 13 to 23) who are interested in learning more about the Catholic faith or baptised youth who have not received the Sacrament of Confirmation due to exceptional circumstances. A “Come and See” information session is usually held just before sessions officially begin, do contact the parish to find out more. 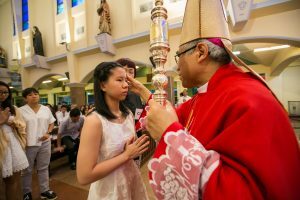 To receive the Sacrament of Confirmation, print and fill in the most suitable form. and pass the hardcopy to the Parish office or email the filled up form to rciy@sfxchurch.sg or rcia@sfxchurch.sg. The ministry will follow up with you accordingly. Registration is open from Easter to June, with the sessions beginning in June.